Once a week, I plan to write a post sharing best-of tips and ideas from fellow bloggers. Each post will include my "Top 10" on pre-selected topics and I'm looking to you all for ideas. Your ideas can be linked to a blog post you've already done but I'd love to include photos. 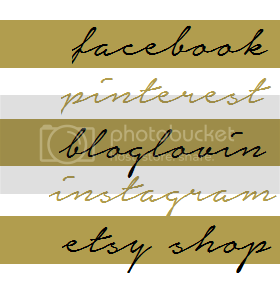 Each one will include your info and a link back to your blog as well as a short description. Here are the upcoming best-of/top-10 topics that I've determined so far. If you'd like to contribute to them, shoot me an email and include your idea, links if necessary, and a brief description and which topic you'd like to be included on. I'd love to hear from you and see what great ideas you have to share. Whichever topic fills up the fastest I will post about, so get your submissions in!